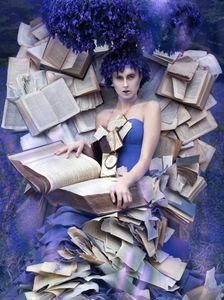 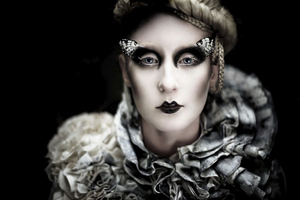 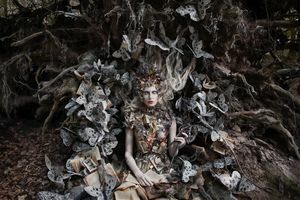 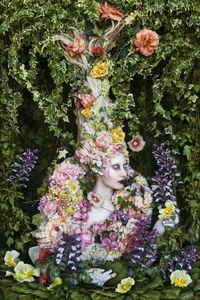 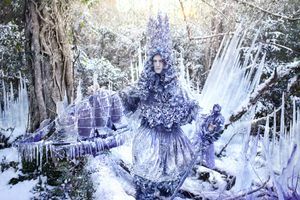 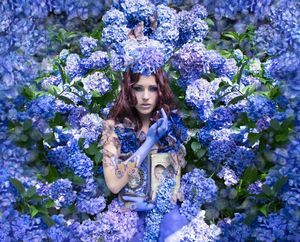 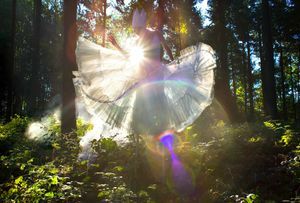 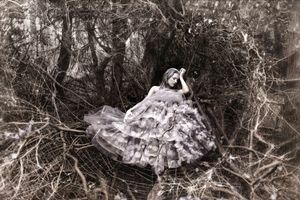 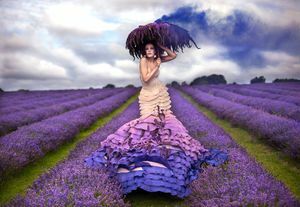 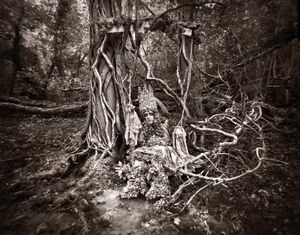 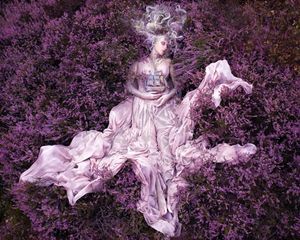 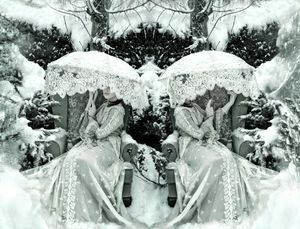 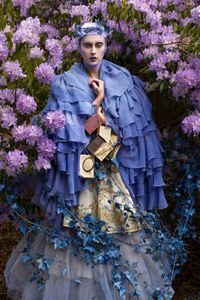 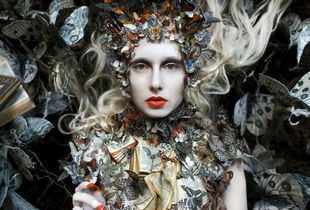 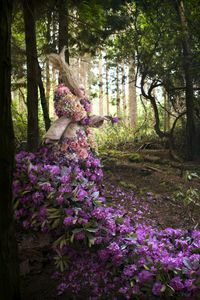 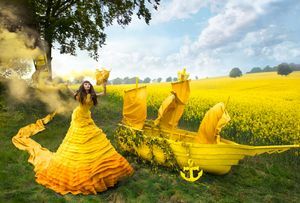 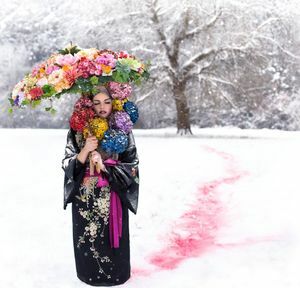 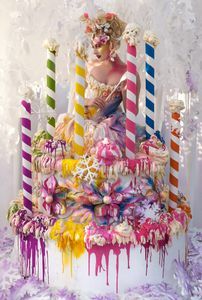 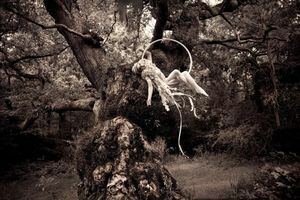 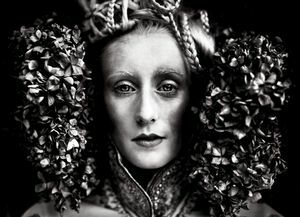 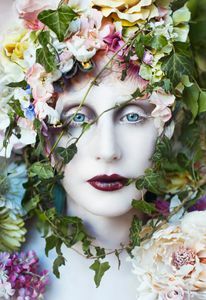 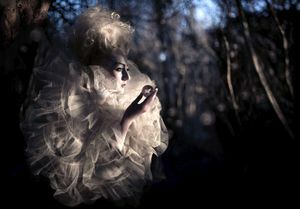 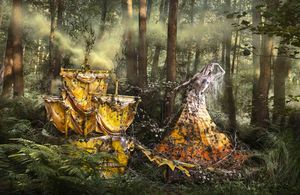 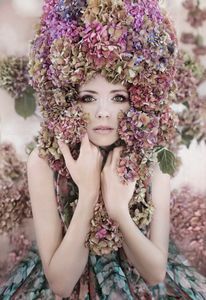 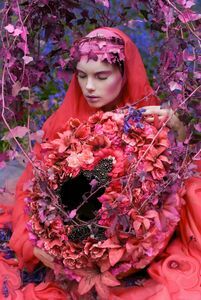 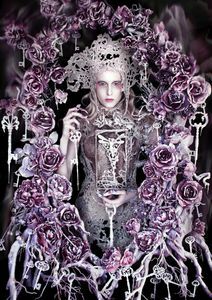 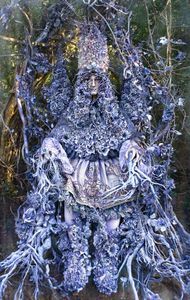 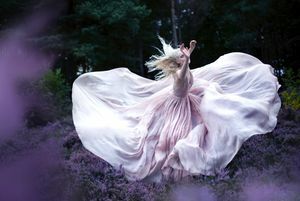 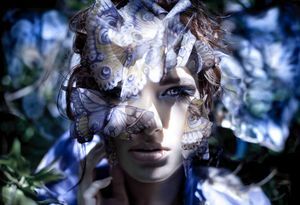 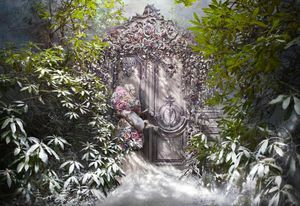 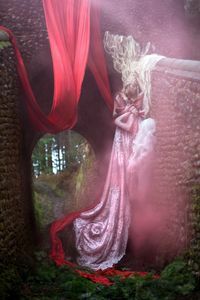 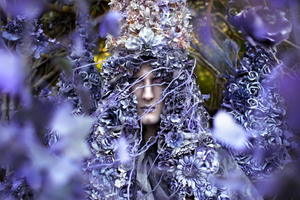 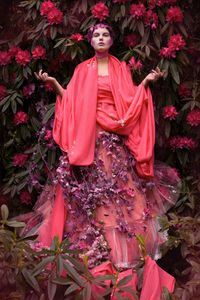 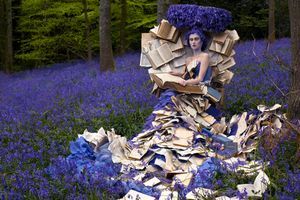 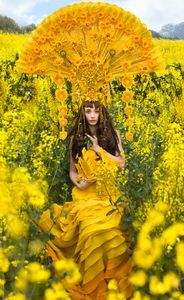 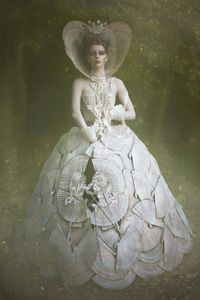 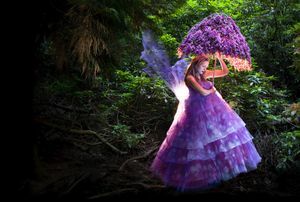 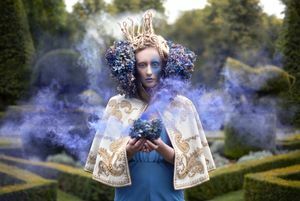 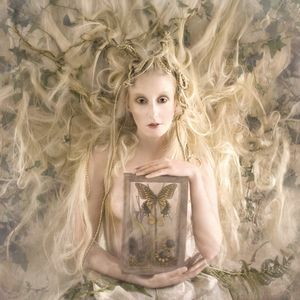 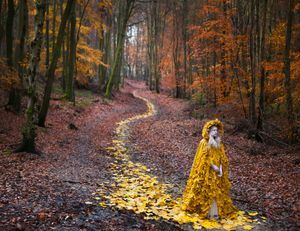 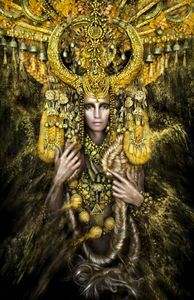 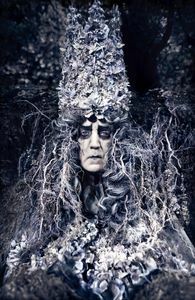 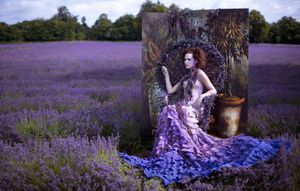 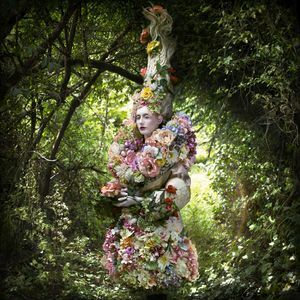 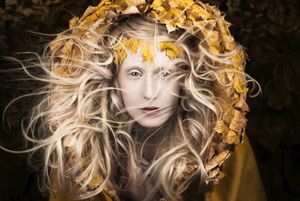 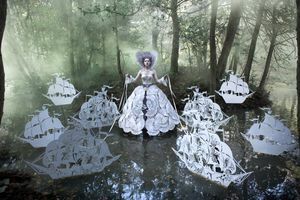 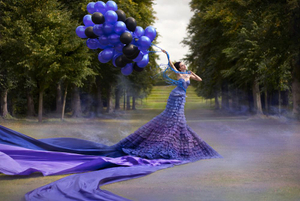 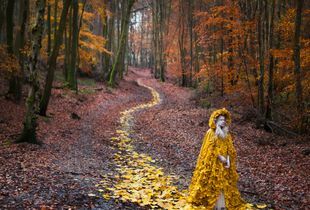 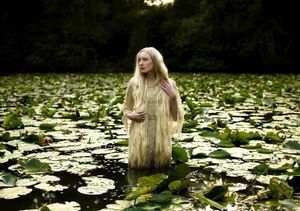 Described as a multifaceted artist, award winning British fine art photographer Kirsty Mitchell draws on her past careers in fashion design and costume making, to produce images of beguiling dream-like worlds all shot in the English landscape surrounding her home. 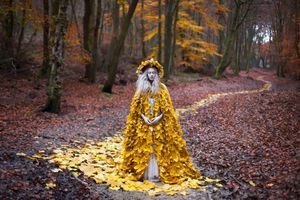 Kirsty describes her approach as ‘Fantasy for Real’ spending months meticulously handcrafting her characters costumes and props to coincide with the bloom of wild flowers, and the seasonal extremes of her local environment. 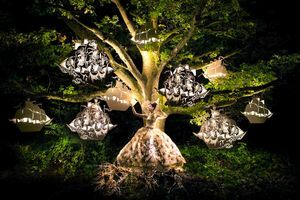 Some pieces have taken up to 5 months to create every element by hand, and over a year to plan. The photographs are entirely real, assembled like mini film sets, and shot first hand on location in all weathers. 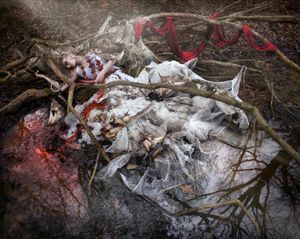 The series has been documented extensively, with behind the scenes photographs and films to demonstrate this. 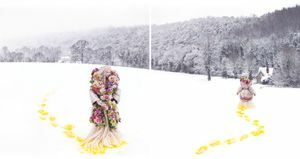 After a decade of working as a fashion designer, in 2008 Kirsty returned to her early love of photography and began a new and deeply emotional connection with the medium during the treatment of her mother’s terminal cancer. 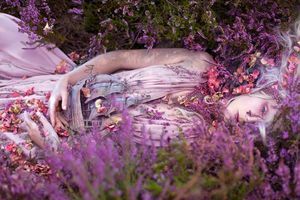 Following her tragic loss, 9 months later Kirsty immersed herself into what became an unexpected and life changing series entitled ‘Wonderland’; intended as a book in her mother's memory. 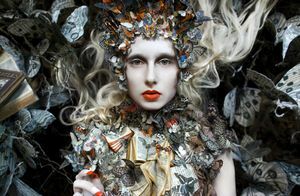 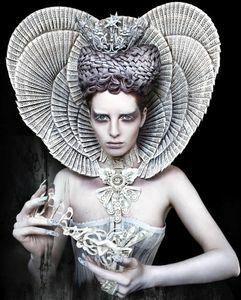 The sudden international recognition for her work led Kirsty to leave her fashion career behind in 2011, to pursue her future as a fine art photographer with articles being published by the BBC News, Vogue Italia, Harper's Bazaar, The Guardian, The Telegraph, Spiegel Online, Blink Magazine and Germany's 'Stern' magazine to name a few. 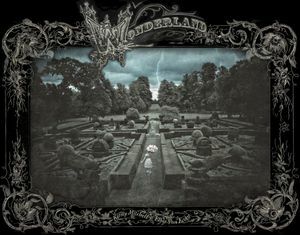 After 5.5 years, 'Wonderland' was completed in November 2014, immediately winning 2 International awards. 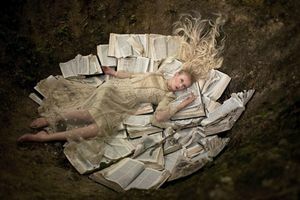 The coverage of the series continued to grow with over 300,000 followers all over the world connecting both with the artworks, but also the accompanying autobiographical 'Diary' written by Kirsty of her shoot experiences and the narratives behind the images. 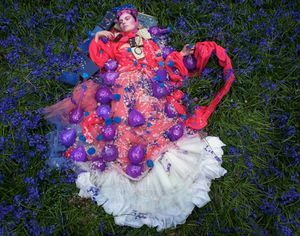 The entire project including the finished artworks, diaries and documentary photography of its creation, are due to be published as a highly anticipated book dedicated to Kirsty's mother. 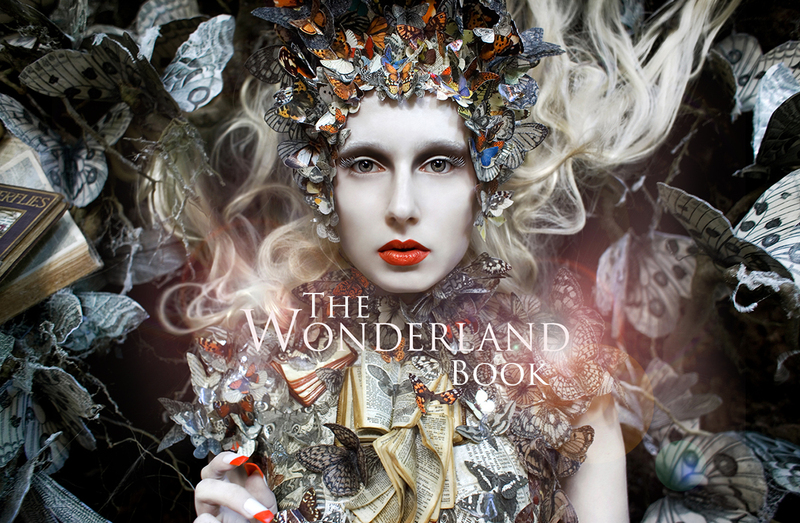 After a number of offers from publishers Kirsty decided to launch her own Kickstarter campaign for the book, in collaboration with top UK book designer Stuart Smith.